The 52d annual Grammy Awards will be a showdown between two self-described “Fierce’’ and “Fearless’’ ladies. Nominations were announced last night and R&B and dance-pop diva Beyoncé was the leading contender with 10 nods associated with her third solo album, “I Am . . . Sasha Fierce.’’ Beyoncé, who enjoyed several big hits in 2009 including “Single Ladies (Put a Ring On It)’’ and “Halo,’’ received nominations in the R&B, pop, rap, and general fields. Country-pop sensation Taylor Swift, whose sophomore release “Fearless’’ is the best-selling album of 2009, followed with eight. The two women will go head to head in the top three categories, record, song, and album of the year, as well as best female pop vocal performance. The hip-hop pop trio nabbed six nominations as did rapper Kanye West and recently resurfaced soul crooner Maxwell. 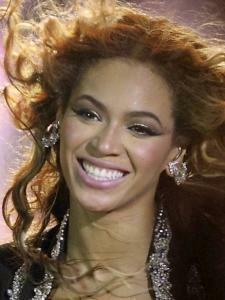 Among those garnering five nominations were Gaga and Beyoncé’s husband, hip-hop heavyweight Jay-Z. Classic rocker Bruce Springsteen, country superstar Keith Urban, and Kings Of Leon each received four nominations. Competing for the best new artist trophy will be country group the Zac Brown Band, urban singer-songwriter Keri Hilson, electro-rockers MGMT, and modern-rock groups the Ting Tings and Silversun Pickups. James Levine, the Boston Symphony Orchestra, and the Tanglewood Festival Chorus were among the local artists scoring nods, including best classical album. The Boston Modern Orchestra Project received a nod in the best instrumental soloist perfomance with orchestra category and cellist Yo-Yo Ma was tapped in the best classical crossover album competition. Burlington-based Rounder Records also received recognition for several of its releases. For the second year in a row a portion of the announcements were made during a prime-time concert special on CBS. Hosted by LL Cool J, performances included the debut of Nick Jonas and the Administration and a tribute to Michael Jackson from Maxwell. The Grammy Awards will air at 8 p.m. Jan. 31 on CBS.